UFO SIGHTINGS DAILY: UFO Caught Watching Folks In Cemetery On Oct 10, 2015, Photos, UFO Sighting News. 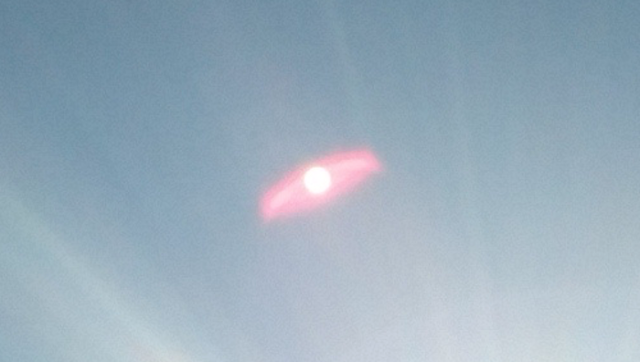 UFO Caught Watching Folks In Cemetery On Oct 10, 2015, Photos, UFO Sighting News. This is one very unusual capture of a UFO. At first it looks like a reflection of light, however its shape is disk-like and I have never seen a reflection like that before. They are there to see us ponder our own mortality, to read our thoughts to better understand us. 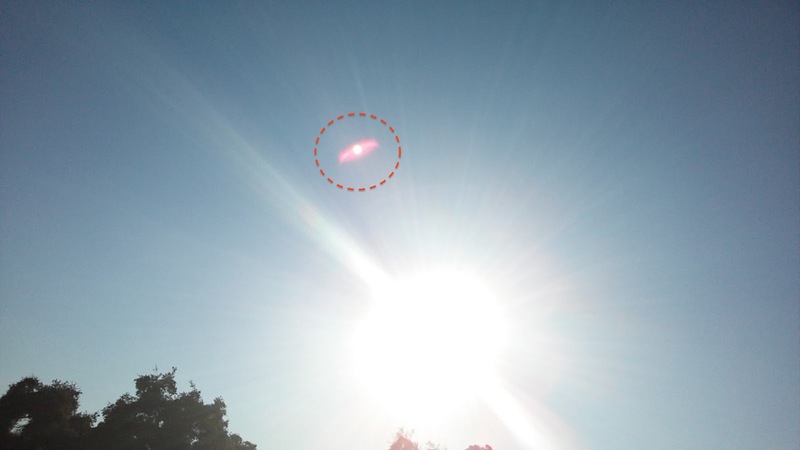 Its my belief that a cloaked UFO was watching them in the cemetery, and accidentally got caught in a photo, with the sun at just the right angle to cause the UFO to be visible only to the digital eye, which is more perfect than the human eye. In the enhanced photo below you see that object has a closing circle in its center...light the alien tech USAF got for the TR3B. Its tiled at an angle, just as Bob Lazar said they have to be in order to move from place to place. Also its solid in the center with a fuzziness around it, all signs of a real UFO captured in this photo. My husband and I were at the cemetery with our three-year old son and we took several cell phone pictures while we were there. Later on, after we got home, we were going thru all the pictures and came across a picture that we had accidentally taken and we almost deleted it, until we saw something in the sky next to the sun. We're not sure what to make of it. Maybe you guys will have an idea what it is. This was at Oakdale Memorial Park in Glendora, CA. in the Garden of Innocence section on October 10th, 2015 at 4:38pm. We were visiting our oldest son for what would have been his 4th birthday.